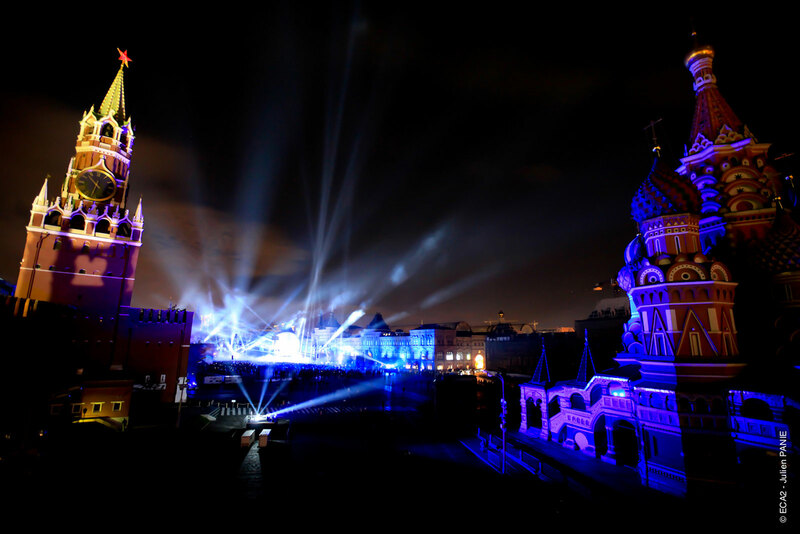 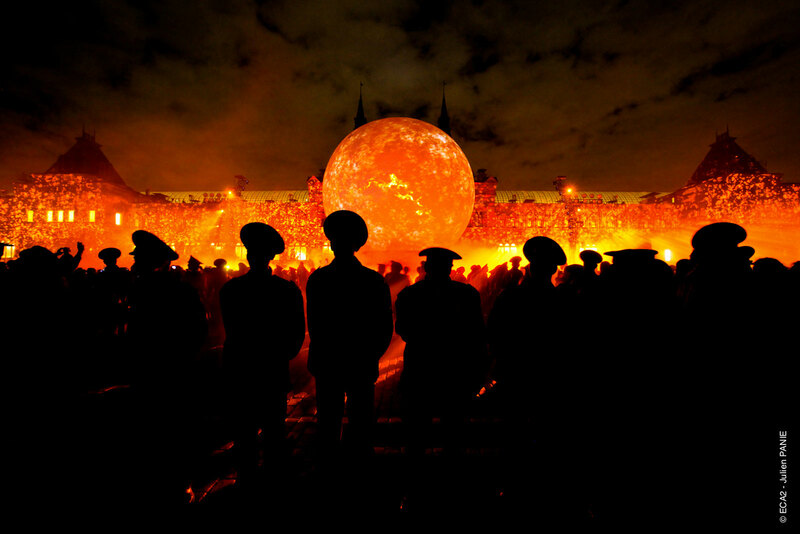 As part of the second edition of the Circle of Light international festival in 2012 held in Moscow, the events agency ECA2 was asked to produce a show to take place on Red Square. 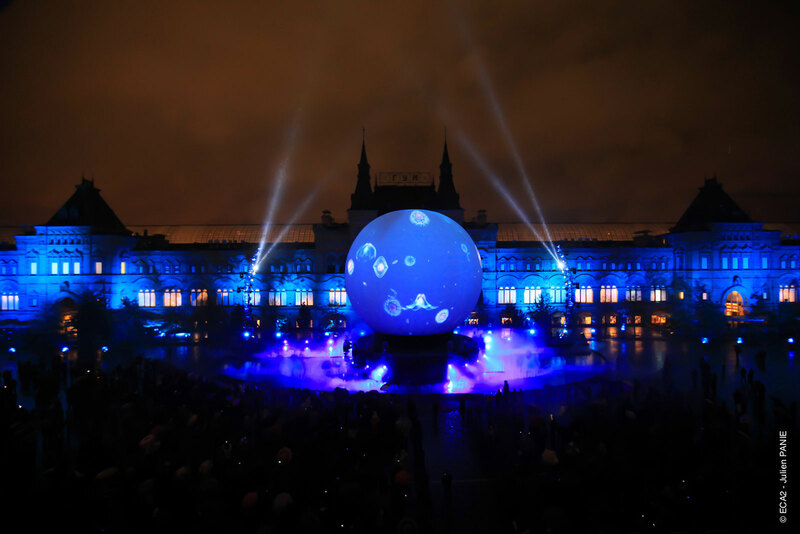 Les Petits Français were in charge of the artistic direction and artistic production of this show. 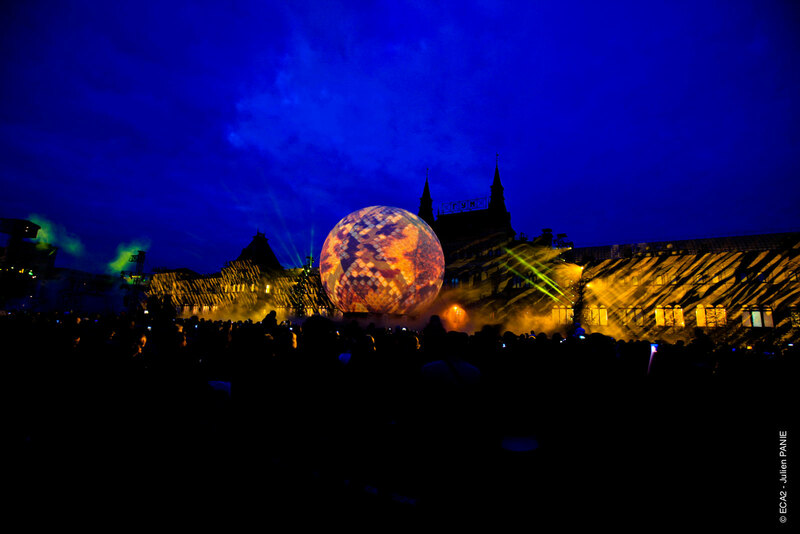 The purpose of the show was to mark the official opening of the festival and to continue to run throughout the festival. 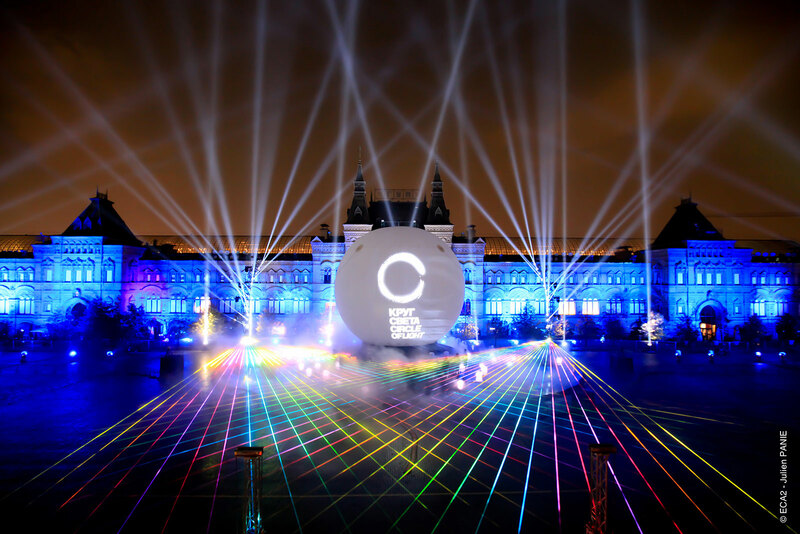 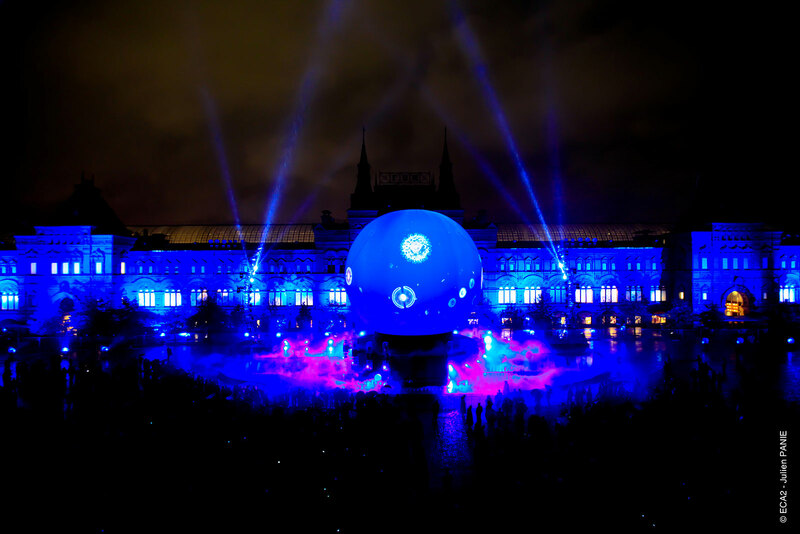 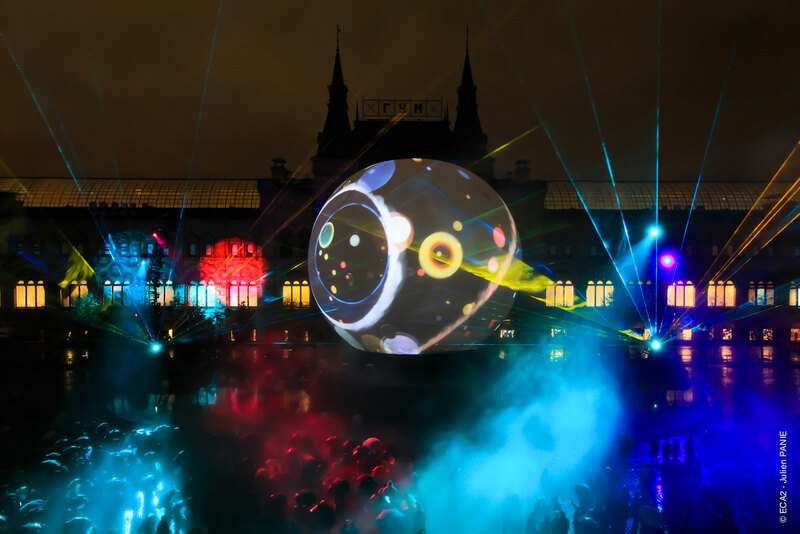 The show opened on 28 September to mark the Light Festival’s launch, which was attended by the mayor of Moscow. 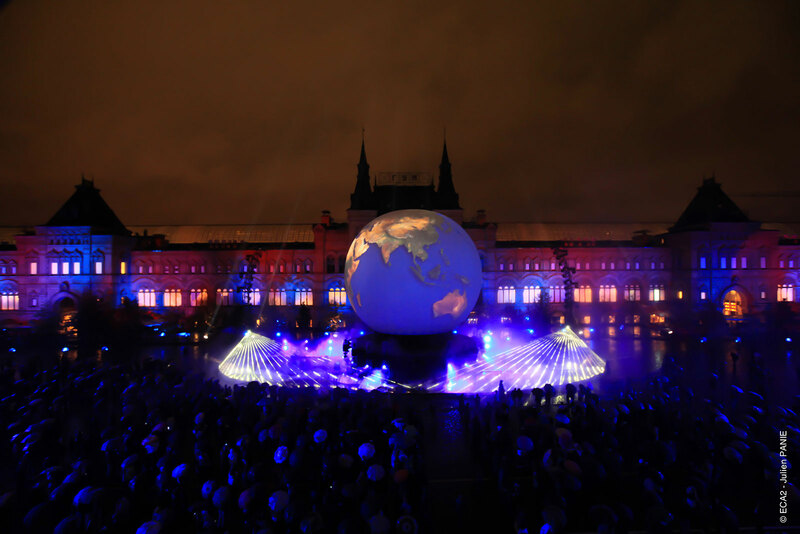 This original version was a 27-minute show and the production then ran for four more days, with six 24-minute showings every evening. 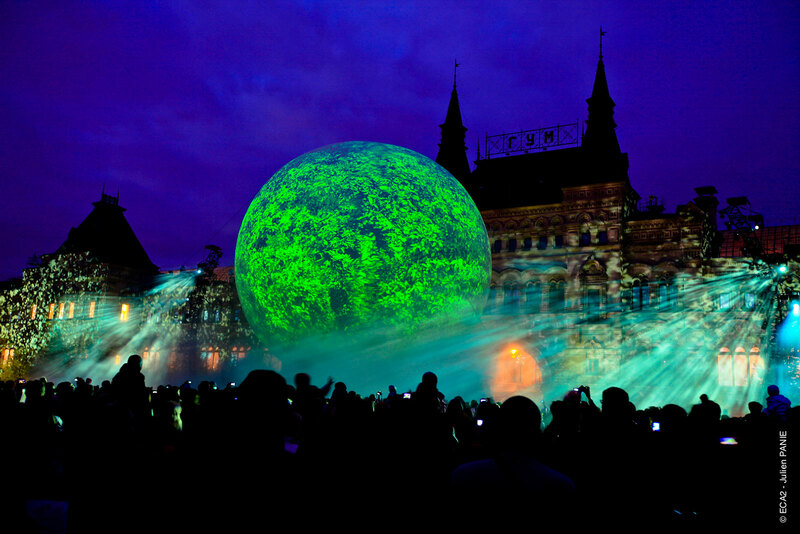 The general theme of the festival was the energy of light. 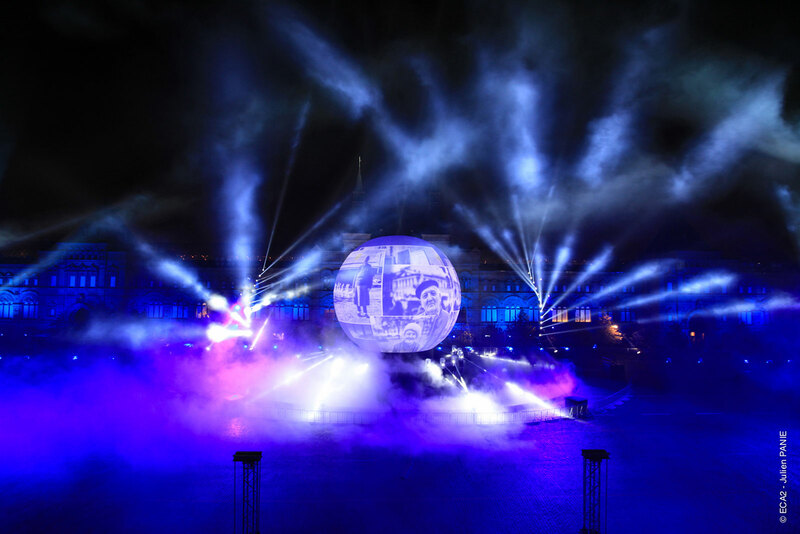 With an original soundtrack and using innovative technologies, the scenography also included the appearance of a young girl. 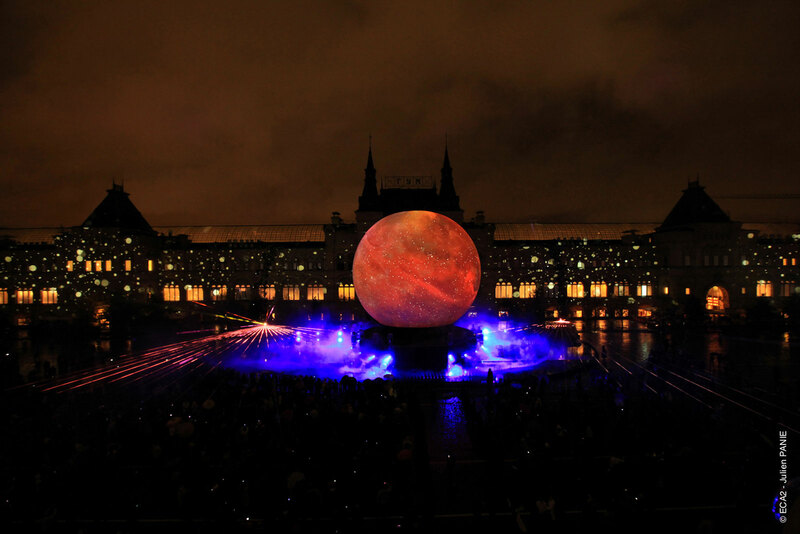 The theme was related to the origins of life and looked back over the milestones of our shared history. 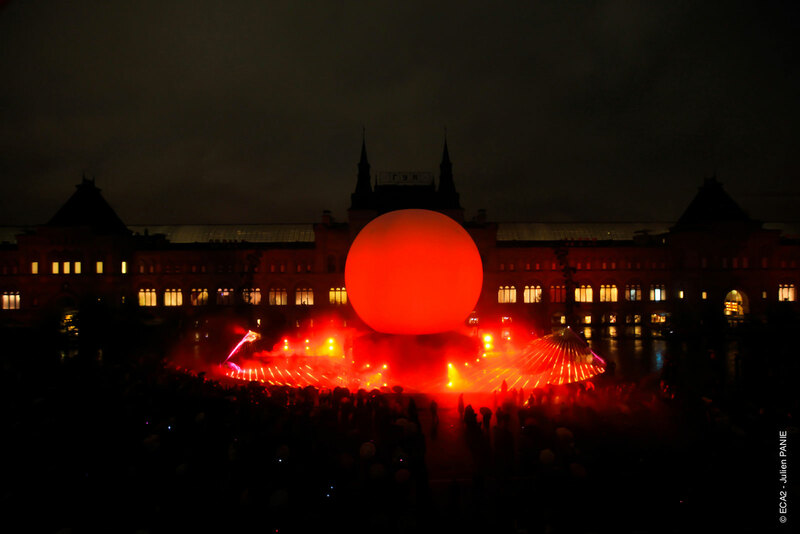 The objective of this celebration was to illustrate the necessity of light to life on earth.